so you want to be a sommelier? : FTP Alert! Awhile back Abe Schoener told me that several different hep California winemakers had been fighting over who would get the Pinot Grigio grapes from Tegan Passalacqua's vineyard in Lodi, and now I know why. 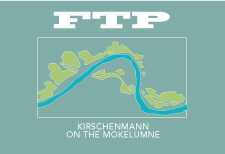 I tasted the result, the "FTP", at the Scholium shindig yesterday and HELLO! Very nice to meet you! Big stars and circles around boxes on my tasting sheet. Definitely make some room in your glass should a bottle come your way.